Proven to Work Hard and Smart. Kice manufactures a complete line of equipment for the plastics industry. By applying the knowledge learned from the plastics, grain, mineral, and other industries the past 60 years, Kice is proven to work. 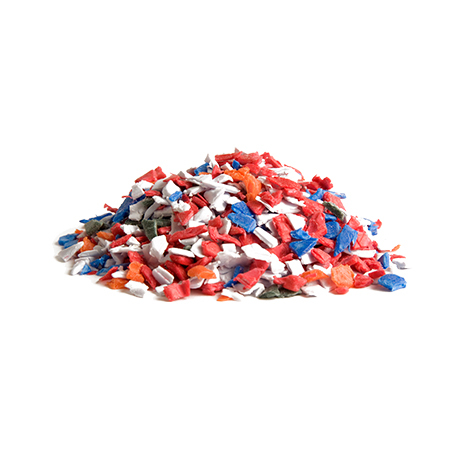 We can remove dust, fines, label, and other light foreign materials from various plastics virgin or regrind streams. We convey using Pressure or Vacuum to and from different points, including rail car, grinder evacuation, packaging and storage-to-process points along the way. We can provide general and specific dust collection to keep your plant and product clean. Our equipment can handle the small rates required in some molding processes to the highest rates required for large scale molding processes and railcar loading/unloading. Kice Industries has manufactured Multi-Aspirator® air classifier since the 1940’s and has applied it to the plastics industry since the mid 1980’s. Kice Multi-Aspirators® remove “angel hair,” “snakes skin,” dust and fines from virgin pellets, compounded pellets, and regrind. The Kice Multi-Aspirator® operates at higher production rates with a smaller footprint while consuming less air than other air classifications systems. The Kice Multi-Aspirator® removes more dust and fines than any other system in operation while at the same time letting the most “good” product remain in the product stream. A typical Multi-Aspirator® system is fed by gravity on-stream. The dust and fines are removed and collected in a cyclone receiver or baghouse filter. The air will discharge through the fan to atmosphere. A typical grinder evacuation system for regrind plastics involves attaching directly to the grinder/granulator discharge and conveying regrind product to our Multi-Aspirator® system. Clean product is discharged into the next phase of the process while dust and fines are vacuumed away and collected in a separate gaylord container. A Kice Multi-Aspiration® system is the easiest to operate. Typically only 1 damper is required for adjusting the cleanliness of the product. Simple and straightforward to operate while removing the most dust and fines while keeping the most “good” product in your product stream. Kice has designed and implemented many material handling systems for the plastics industry over the last 3 decades. Our conveying systems include rail-car unloading, storage delivery, grinder evacuation and production delivery. Kice handles rates ranging from several pounds a minute to approximately 1,500 lbs/min. Dust control is an ongoing issue for most production facilities. Kice designs and implements dust control systems all over the world and is considered one of the top suppliers. Even though the explosivity of plastics dust is low, Kice manufactures equipment to be in compliance with the most current OSHA, NFPA, and insurance specifications, including explosion protection, isolation, and suppression. With our support contracts we can support your plant. We are available 24/7 to provide superior technical service. We design systems that meet your production and business goals. We implement the right & up to date architecture to optimize your power & automation assets with predictive and preventive maintenance methods. We combine elements of your input and our experience for a better solution and a build solid foundation for a successful operation.